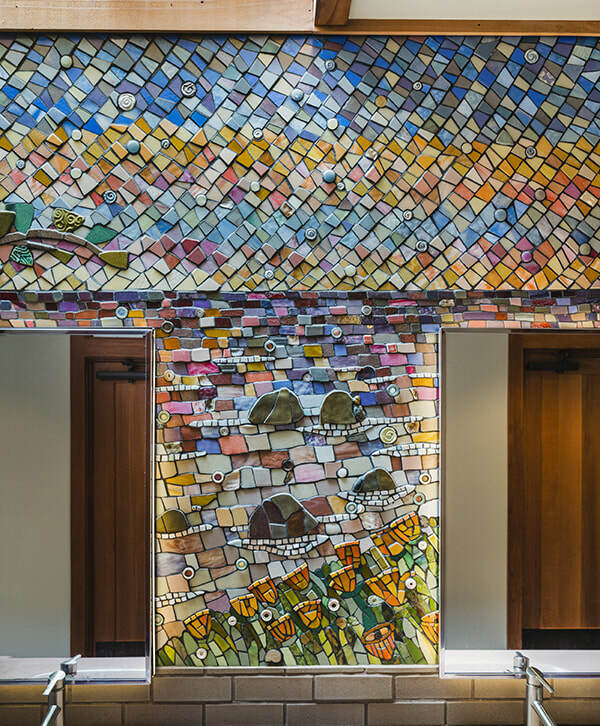 65 square-feet permanent mosaic mural for Esalen’s historic lodge. 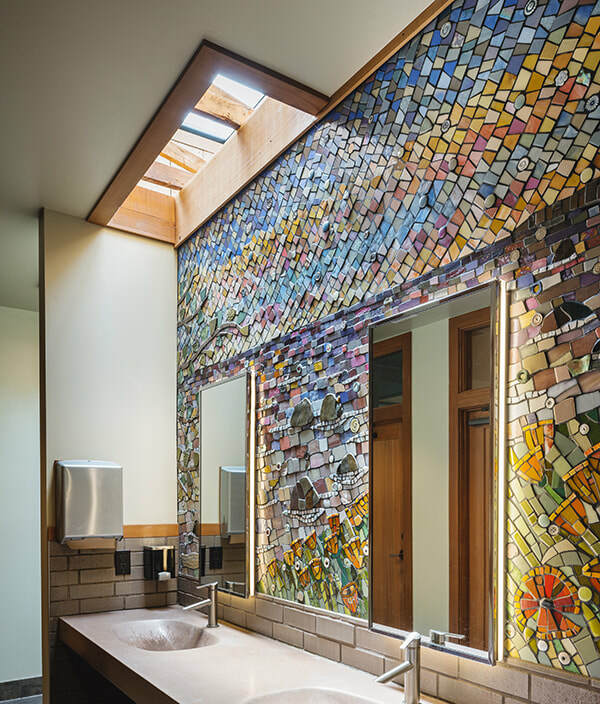 I designed a mosaic inspired by the magnificent Big Sur coastline. 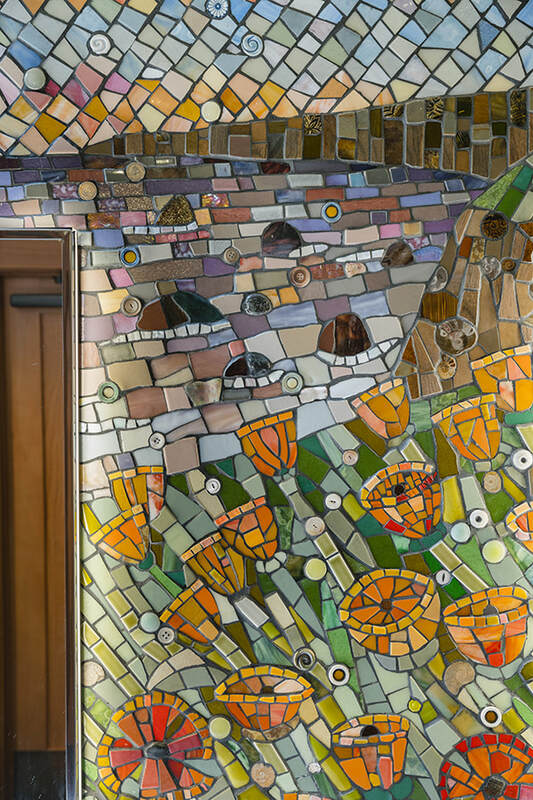 The large mural incorporates stained glass and ceramic tile with unique found material. It was created in a weeklong workshop setting and then permanently installed on a wall. ​Watch a 30-second long video of the 4-day final installation here. 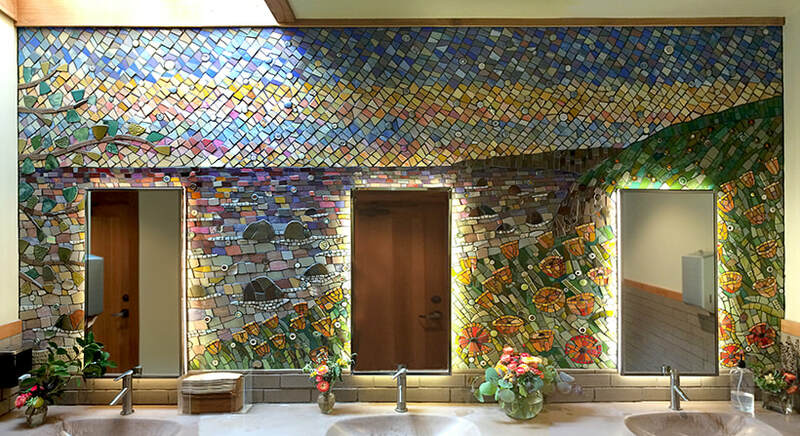 65 square foot mosaic mural at Esalen Institute in Big Sur, CA. 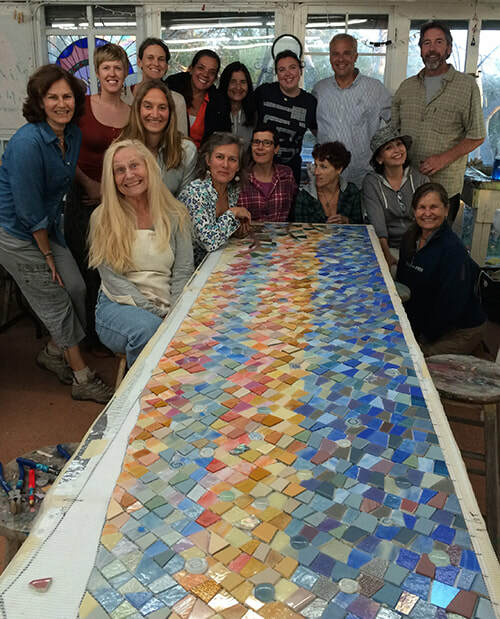 Workshop participants gather to celebrate the completion of sky section of the mural.